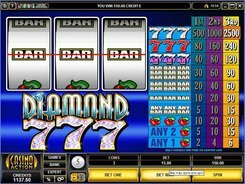 Diamond 7′s is a purely classical one-payline emulator based on a three-reel set-up. 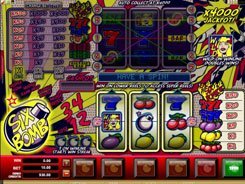 The slot incorporates a typical fruit-machine symbols set, such as sevens, bars and cherries. 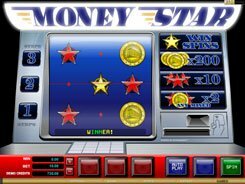 All of them form winning combinations, which values depend on the number and type of matching symbols landed on the payline. 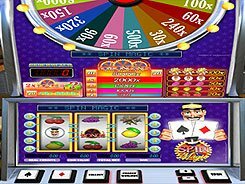 Before every spin, use control buttons under the reels to adjust a coin size with $5 max, and stake one, two or three coins. 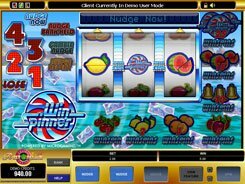 The ceiling bet per spin is $15, and wagering the maximum bet you stand the chance to take down a 2500-coin jackpot awarded for three Diamond Seven symbols. 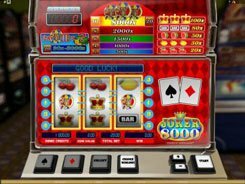 Other symbols are much less beneficial. 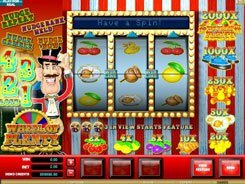 For example, three Red Seven symbols, being of the second-highest value, will earn you 240 coins.